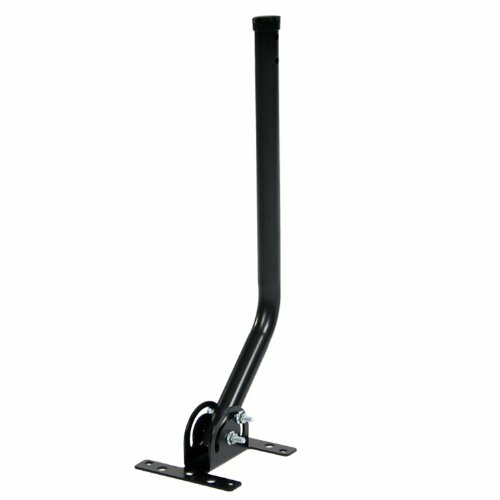 The 20in HDTV Antenna Mount is made from 1in powder coated steel tube and is ideally suited for the ClearStream series of antennas. The mount base pivots for flat, angled, or vertical use, and includes sealing tape for worry-free installation. As a leader in cutting-edge antenna technology, Antennas Direct is dedicated to providing superior products supported by a robust warranty and a world class call center located in St. Louis, MO. Need help? Live chat with our team 7 days a week at antennasdirect.com or call toll-free 1-877-825-5572 for service and selection advice. Includes mount, all-weather lag bolts, sealing tape, and instructions.